The color Surkh is a pretty burgundy shade with strong brown hues. 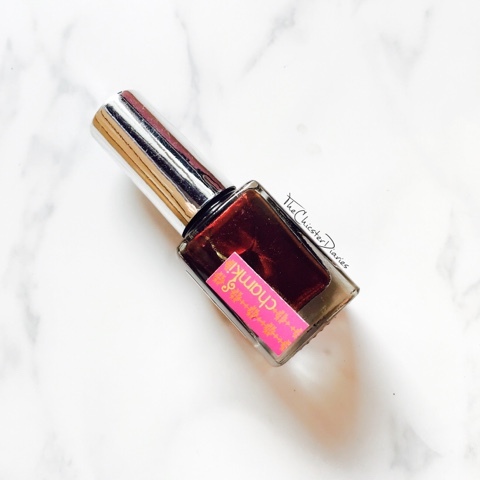 The polish gives a opaque mettalic finish within two coats. Excluding the colour, I am somehow not so fond of this product as the applicator brush is not of a very good quality. Also I have noticed a bit of chipping immediately after two days which is kind of disappointing. 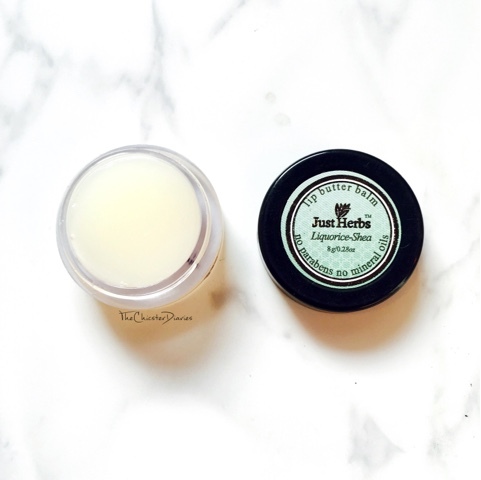 As the name suggests this lip balm has the goodness of shea butter in it which is quite obvious from its tender texture. The shea butter literally melts on touch and the product turns into a slightly oily liquid that spreads evenly on the lips. Even this little jar can last a good amount of time as the product required is very less. I love using this as a part of my night time routine as my lips feel soft and supple next morning. I had been absolutely loving my Lotus Sun block Matte gel sunscreen but now that I am almost done with it I would love to try a few more matte sunscreens. As of yet I have tried this product only once yet I am certain that I will be purchasing the full size product. 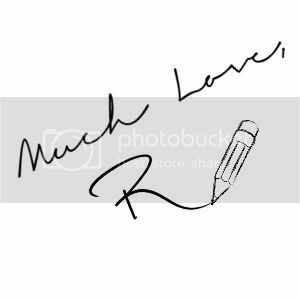 The feature that I loved the most about this product is that on application the product gets absorbed immediately and settles into a matte finish. Also, the product doesn't leave any white cast behind on getting settled. I cannot praise this scrub enough for its intoxicating cocoa butter scent. 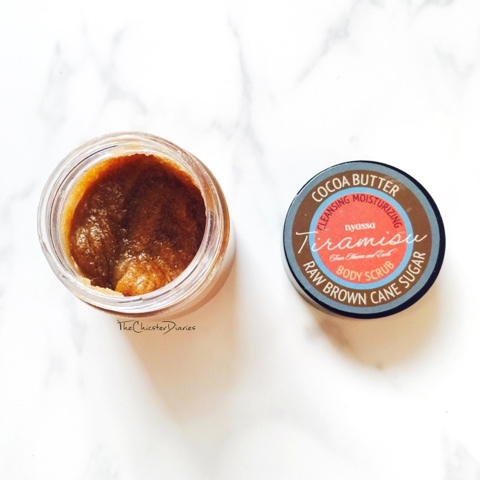 The product is made up of natural ingredients like raw brown cane sugar and shea butter. The shea butter and cocoa butter moisturizes the skin making it really soft and supple while as the raw brown cane sugar acts as the granules in the scrub. 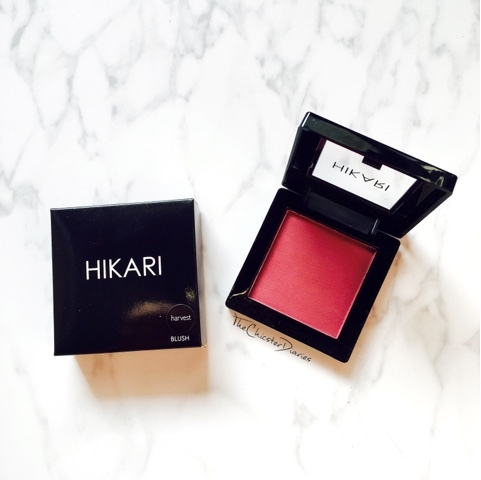 My favourite product of them all in this month's bag was definitely the Hikari blush in the shade Harvest. 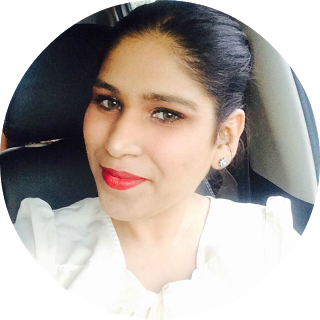 This warm toned deep rose shade compliments my skin tone well and gives a healthy flushed look. The product is very pigmented so I would recommend you to be a little cautious while application. Overall Verdict: First and foremost absolutely loved the sturdy bold red coloured bag. 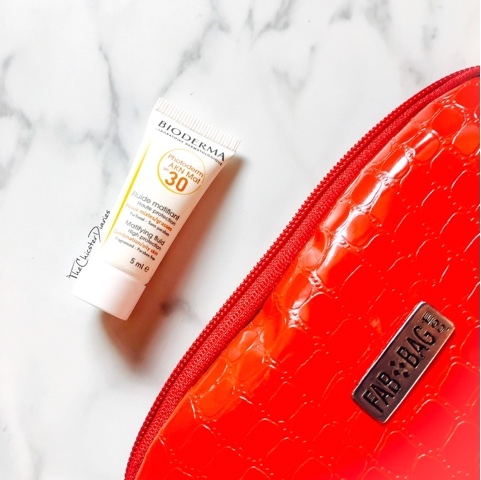 Excluding this, the Hikari blush in Harvest and the Bioderma Photoderm AKN Mat Sunscreen SPF 30 were fabulous and would highly recommend you to try them. 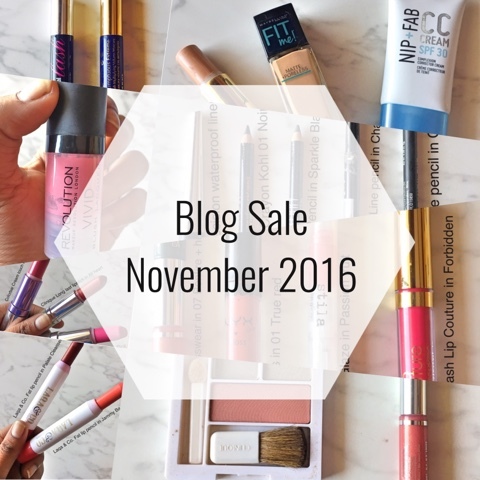 Hope you enjoyed reading this post and do let me know in the comments section below which were your favorite products in the February Fab Bag? I love the Nyassa scrub. I wonder if it does smell like Tiramisu!! Love ur fab bag, mostly the blush !! The blush shade is very pretty. Wow you got really great stuff...compared to others' fab bags, I really loved everything you got in this one except the polish. I love the blush shade. Look like a great bag..
Hey! You got cool stuff. I wanted that blush and they sent me a lip crayon, I wanted to try out nyassa/spa ceylon product and I got Palmer's cocoa butter body lotion sample :D . BTW same pinch, we got same nail paint shade. It's not that I am unhappy with my february fabbag, but I am not happy either. The red bag looks nice. Beautiful photos, I love your blush color. 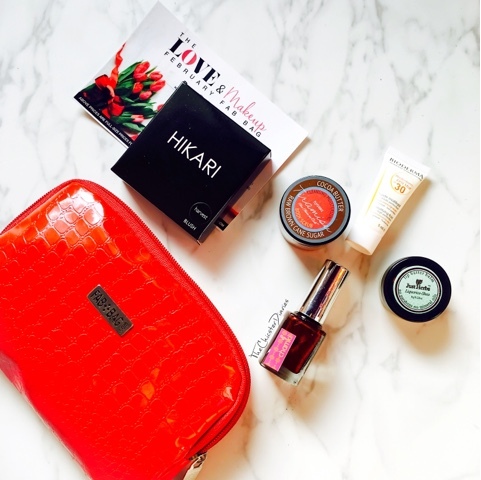 The bag is the show stopper.I would love to try the hikari blush .It looks tempting. This is some really cool stuff. Do review these products! i really love the lip balm and oh so gorgeous blush!! do post your pic using them!! will wait for it.